frequent commentator on the Toronto housing market and real estate consumer and industry issues, John has contributed to the Globe and Mail, CBC, BNN Bloomberg, TVO’s The Agenda, Toronto Star and other media, government and industry organizations. He most recently advised the Government of Dubai on international best practices for the real estate sector. John holds a B.Sc. in Economics from the University of Toronto and is a candidate in the Doctorate of Business Administration Program at the University of Toronto and Henley Business School (UK). Ada is a Broker with Realosophy. Her strengths in planning and execution help her clients navigate the many steps of a real estate journey. Prior to Realosophy, Ada led project and operational teams for a large financial organization. Ada holds a B.A. in Information Technology Management from Ryerson University. She enjoys family travels, hot tea in cold hockey rinks, and the stillness of her yoga mat... namaste. Maria is a Sales Representative with Realosophy. Maria is passionate about real estate and enjoys utilizing her analytical, research and problem solving skills to help her clients make smart real estate decisions. Maria is a graduate of the University of Toronto with a degree in Economics and Statistics. While a student, she had the privilege of working as a research assistant with the Ministry of Finance. When she’s away from the office, Maria enjoys playing tennis, travelling or spending time with family. Gus is a Sales Representative with Realosophy. 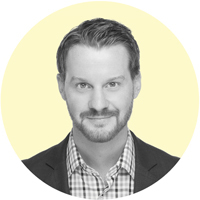 A lifelong Torontonian & entrepreneur in the hospitality and retail sectors for over 15 years, Gus has first-hand knowledge of Toronto’s trendiest neighbourhoods and strong problem-solving skills. When he's not pulling deals together for clients, Gus enjoys spending time with his family & travelling. Davin is a Sales Representative with Realosophy. With an entrepreneurial background and a solid base in customer service, Davin is able to manage clients needs while making the process smooth, and—most importantly—fun. 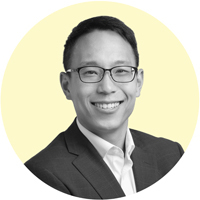 He graduated from Ryerson University, earning a Bachelor’s Degree in Geographic Analysis and completing an internship at Ryerson’s Centre for the Study of Commercial Activity. His studies provided him with insights into statistics, the movement of peoples, goods and services and demographic research. In his own time, Davin enjoys all things music, playing the drums and reading every word written by John Grisham at local coffee hot spots. 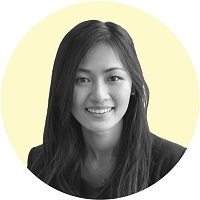 Vivien is a Sales Representative with Realosophy. 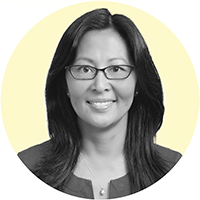 She takes a collaborative approach to ensure clients make informed real estate decisions. Vivien was raised in a family with a background in real estate and enters this field after eight years in food and agriculture. She has insight and experience in various levels of the food supply chain, from farming to restaurants and food retail. She takes a holistic approach to her work and brings integrity into all that she does. Vivien is attentive to urban planning and forward-thinking initiatives in resale properties and new developments in the city. She specializes in residential and agricultural properties. Outside of real estate, Vivien is a beekeeper and continues to be involved with various food projects in Ontario. 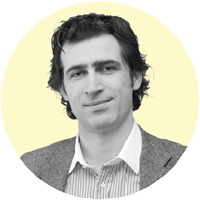 Hamed is a Sales Representative with Realosophy. 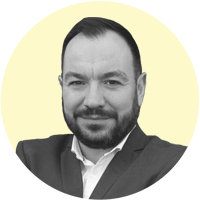 He uses a consultative approach when working with clients, offering a full range of services that complement and enrich the overall consumer experience. Hamed holds a B.Eng. and an executive MBA and is a certified negotiation expert. Prior to his real estate career, Hamed led technical and operational teams in manufacturing. Away from real estate, you can find Hamed spending time with his family, reading books, playing tennis or the “Taar”, a traditional Persian musical instrument. 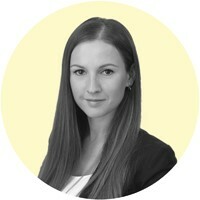 Anastasia is a Sales Representative with Realosophy. Her passion for real estate coupled with her previous career experience in finance allows her to bring analytical reasoning to the forefront of every real estate transaction and seek out the ideal outcome for her clients. 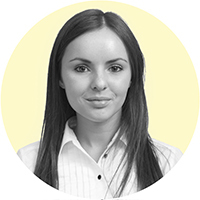 Anastasia utilizes her degree in Economics and Management to help her clients make data-based decisions. When she’s not working to meet a client’s needs, she can be found making the world a better place for her two daughters. Jonathan is a Sales Representative with Realosophy. Being an analytical person, his approach is to provide clients with as much data and information required to make informed and educated decisions. 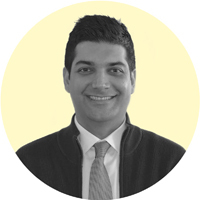 Jonathan is an Industrial Engineering graduate from the University of Toronto with years of experience working in supply chain and operations, so he has a strong eye for details, process and numbers. Outside of real estate Jonathan enjoys cooking, running, and practicing wood working. Mei is a Sales Representative with Realosophy. Her excellence in real estate negotiation is driven by her passion in helping people with her integrity, enthusiasm, hard work, and creativity. 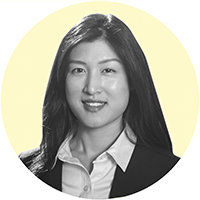 With 10+ years of experience in sales & marketing, Mei was named "Top 30 Under 30" in the Globe and Mail. She holds a B.Com from Ryerson University. Prior to Realosophy, she led a start up in the UK. Away from real estate, she enriches her soul by travelling and volunteering around the world.